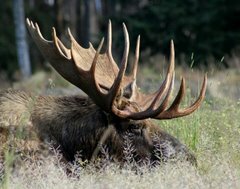 Moose Tracks: Agree Or Your''re Fired! Nope ... not Trump on a made for TV entertainment venue -- actual liberal with real employees. Reagan said of "liberals" that "They will defend your right to agree with them to their dying breath". They are a bit less tolerant than that these days -- they don't want you around if you don't agree with them. You agree with them OR ELSE! If they don't get their way, they believe that rioting, firing employees and cutting off friends and family that are not in lock-step with their views are all justified. Thou shalt have no other god before politics. "Hating the haters is not hate" -- and they will define who the "haters are". Violence may well be justified, certainly firing an employee who disagrees, obviously refusing to talk to parents, siblings, friends, etc because of political disagreement is completely justified. Totalitarianism is unsurprisingly a TOTAL world view. Politics "trumps all" -- God, family blood, years of friendship, neighbor proximity, EVERYTHING! You simply MUST agree, or they will tack a long list of horrible labels on you -- and fire you at least, if not worse. For non-totalitarians, this is very painful. Our list of priorities usually goes something like "God, family, self responsibility/care, friends, service to others, community (actual people in neighborhoods and churches), country, vocation/career, -- and THEN, somewhere around here, like near the bottom of the top 10, politics. Pets would rank higher for me. I don't really understand the standard lefty priority, but it seems something like **ME**, followed by "you damned well better agree with me on MY politics!". I suppose eventually the idea that those priorities are not "well rounded" will land me in the gulag or an unmarked ditch somewhere, but I just don't see putting either me or politics first -- under whatever penalty. My eternal soul "trumps" those earthly concerns.